Having suffered chronic migraines, tennis elbow and vertigo throughout my youth, the choice to pursue a career in physiotherapy was not difficult. By overcoming these personal challenges and searching for answers I found that physio was more than a treatment and was a full circle in improving my health. I am passionate in helping my clients through their individual rehabilitation journeys and I get great satisfaction from seeing the improvements in my clients and in their quality of life following treatment. My treatments are built around education and in easy to understand language to allow clients to self rehabilitate, understand healing and set them up for a lifetime of physical health. I have a Masters of Physiotherapy from the University of Sydney, Bachelors of Exercise and Sports Science from the Australian Catholic University. I went on to gain my Advanced Dry Needling Certification and in a couple of months will have my Master certificate. I have gained amazing results with the addition of dry needling. I have worked as a Personal Trainer and Group Fitness instructor, a massage therapist and worked as both a physio and trainer to a variety of representative sports teams. Outside of Physiotherapy I enjoy travelling, muay thai, weight training with a strong interest in sports performance nutrition. Providing Chiropractic Services for those in the Inner West Suburbs of : Dulwich Hill, Enmore, Lewisham, Marrickville, Petersham, St Peters, Stanmore, Sydenham, Tempe, Earlwood, Wolli Creek, Newtown, Canterbury. The Chiropractor Mr George Prorellis, holds a Bachelor of Science with a major in Anatomy and minor in Modern Greek from the University of New South Wales; as well as a Masters in Chiropractic from Macquarie University. He also holds Certificates 3 and 4 in Fitness and Personal Training respectively from TAFE, Randwick. Mr George Prorellis has previously lived and worked in Athens from the years of 2004-2010, initially employed to work for the Athens 2004 Olympic Games at the Soccer Event treating the elite athletes. Later he served the Greek army holding the rank of a sergeant. During his time in Athens he served the greater Athens community as well as seeing actors, celebrities and politicians. He is a member of the following associations: European Association of Chiropractic, Hellenic Chiropractic Association, Chiropractic Association of Australia (C.A.A) and the Chiropractic and Osteopathic college of Australasia (C.O.C.A). After spending 6.5 years in Athens Greece, since Sept 2010 Mr Prorellis has returned permanently to Sydney where he is originally from bringing his extensive experience in neurological disorders pertaining to the lower back pain, neck pain, nerve pain from the many seminars he attended all over Europe. 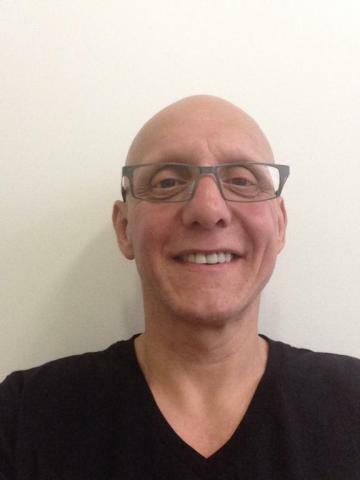 Petros has over 20 years experience as a practitioner having completed a Bachelor of Science Degree, a Masters Degree in Chiropractic, an associate Diploma in Health Science (massage) and a post graduate course in musculoskeletal acupuncture. His post graduate training has him focusing on postural and movement pattern assessment and in the significance of these poor movement patterns in the treatment of pain. Petros is a registered osteopath and chiropractor and his diversity in training allows him to integrate various techniques when treating the human body. He also has a strong rehabilitation aspect in his clinic, which allows him to prescribe exercise to prolong the effects of his treatments. He has completed various rehabilitation courses taught by the internationally renowned Scott Fonda and Craig Liebenson. Petros has had teaching roles with Pilates International in Anatomy & Physiology and Functional Anatomy, Remedial massage course at Lofts TAFE and the Macquarie University Chiropractic program. Petros has also recently qualified as a master diver in SCUBA and has continued to keenly embraced the underwater world. Anita Russo - Chiropractor / Applied Kinesiologist. Anita completed her studies in chiropractic at Macquarie University. 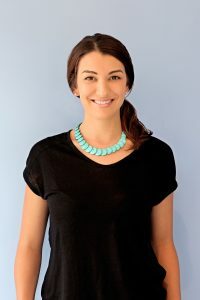 She has since worked alongside a mix of principal chiropractors in a mix of clinics in Sydney and in rural NSW all of which have added greatly to her experience as a practitioner and has resulted in an approach to treatment which is integrative of many techniques and holistic in it's nature. She has completed many years of studies in non-manipulative chiropractic techniques which makes her treatment perfect for people who prefer gentler treatment, however is always happy to deliver the traditional adjustment to those that will benefit. She has completed studies in paediatric chiropractic and enjoys seeing children. She never stops studying and is currently completing her certificate in Applied Kinesiology, with a particular interest in functional biochemistry. B.Sc nursing (Cn), B.A. Sc. (Occupational Therapist) from UWS, M. Sc. Chiropractic from MQ. Lucy has an extensive history in providing high quality health care services. She previously worked in Saudi Arabia and China as a senior registered nurse. Later she arrived in Australia and obtained her qualifications and registration as a Occupational therapist and a Chiropractor. 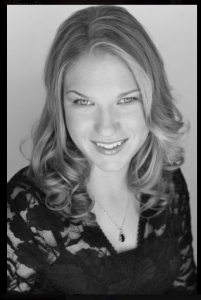 Lucy is passionate about what she does and continuously seeks professional development to allow her to provide best practice Chiropractic techniques. Lucy is also certified as an active release technique (ART) practitioner and certified advanced dry needling and cupping practitioner. She applies those skills to deliver her services in a client-centric way and provides positive outcomes for her clients. Lucy deliveries a client-centered approach in her practice by applying gentle mobilization, non-manipulative technique for acute clients. Lucy is confident in delivering services by using flexion-distraction to treat clients with chronic lower back pain, disc-herniation and other spinal disorders. Lucy will provide treatment options and develop a treatment plan which best suits her client's needs. 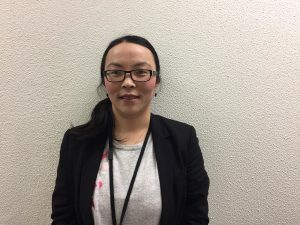 Lucy is also experienced in delivering the following Occupational Therapy services: home modifications, seating and positioning assessment, equipment prescriptions, nursing home consultations, rehabilitation exercise, activities of daily living (ADL's) assessment, sensory assessment, falls prevention, wheelchair review and customisation. Lucy is a registered private NDIS provider, delivering a door to door community service to our NDIS participants. Lucy works closely with clients and their family members to achieve specific goals, and improve independent living skills, which allow clients to participate and engage meaningfully in the community. 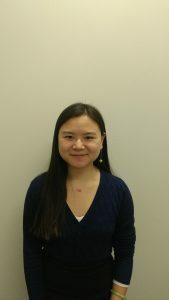 Linh Quach - Traditional Chinese Medicine Practitioner/ Acupuncturist. Linh is of Vietnamese/Chinese cultural background. She has a love for Chinese Medicine as well as personal development. She is a qualified Traditional Chinese Medicine practitioner and holds a Bachelor of Health Science/Masters in Chinese Medicine. Linh is fluent in both English and Vietnamese in written and verbal communications. She has a love for personal development; both her own and others. In fact Linh is a coach of participants in a leading personal development training organization. She also spends time with her family and her friends. Her development in acupuncture was assisted by the mentoring by Hoc Ku Huynh, a leading acupuncturist in Australia. She has also traveled to China to gain first hand experience in the NanJing Hospital during 2016. Her clinical work focus will assist patient who are suffering pain, gynaecological issues and mental health. She is very pleased to be the newest addition to Sydney Wide Chiropractic Clinic. 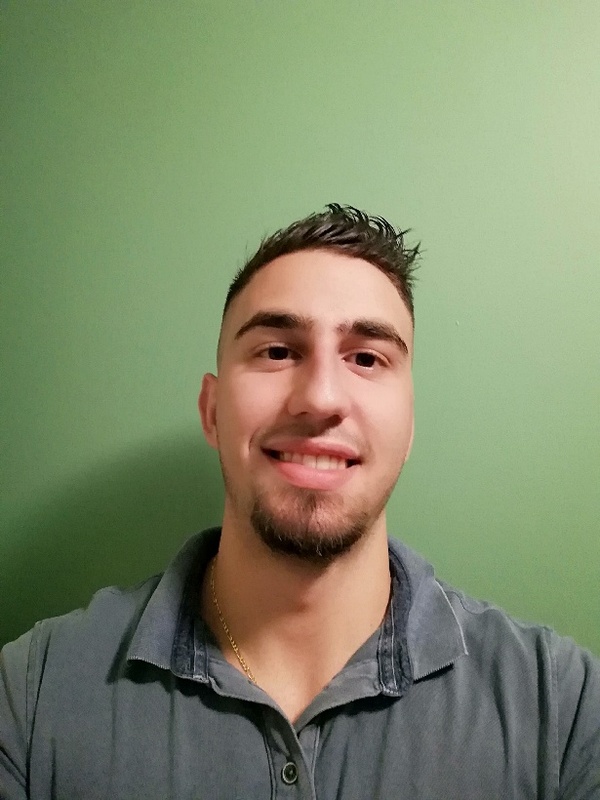 Christos Prorellis, holds a Bachelor of Applied Science (Occupational Therapy) from the University of Sydney, is currently studying Electronics at TAFE Ultimo and will complete a Master of Health Services Management at the University of Technology Sydney in 2020. Christos has previously completed a year of a Bachelor of Health Science at Western Sydney University in 2014 finishing with credits/distinctions. Christos’s passion for Occupational Therapy comes from his previous clinical experience in Liverpool hospital Complex Community Aged Care, Concord Hospital acute care in Oncology, Simulated University placement, school placement in Broken Hill and community private practice placement. 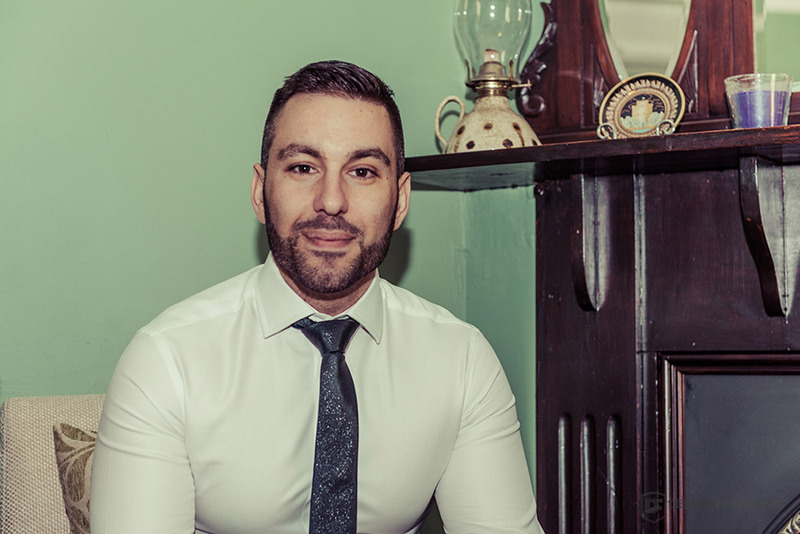 Christos is currently working in Aged Care providing pain management services. Christos has previously worked as a salesman selling Assistive Technology devices to customers and providing recommendations. Christos as a keen interest in Assistive Technology specifically prescribing them to clients and setting them up as well as providing minor repairs. Christos also enjoys treating Hand Therapy and upper limb injuries as it supplements the use of Assistive Technology.